My adventures have been all British so far but I’m seriously tempted to take a ride over to Berlin to check out the new Currywurst museum there. I am still slightly in shock that the Germans manage to munch their way through 800 million Currywurst a year. Wow, apparently that’s 1500 a minute! They are the countries’ favourite snack and I am very curious to go and see what all the fuss is about. 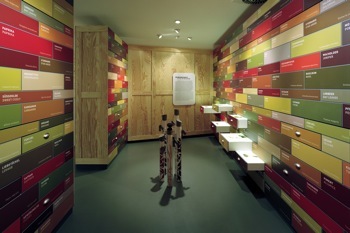 A walk-in Berlin ‘Imbissbude’ invites visitors to switch perspective and get behind the counter in charge of a snack stand. 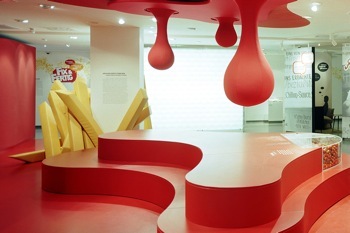 The Deutsches Currywurst Museum in Schützenstraße 70 stages all aspects about the beloved Currywurst with an one of a kind and eventful exhibition. Colours, forms, scenography and lightning to the tiniest exhibit pieces set accents. Interactive and multimedia-based elements invite to play and try-out. The Spice Chamber provides the solution to a curry powder puzzle. Ceilinghigh drawer elements demonstrate origin and processing of individual components in curry spice blends. Sniffing stations release exotic aromas into visitors´ noses. 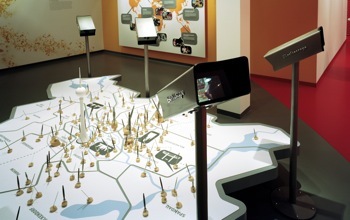 At an interactive three-dimensional city map visitors discover a new view on the German capital. An exhibition with a lot of love to details will be available to visitors of the Deutsches Currywurst Museum, Schützenstraße 70, near Checkpoint Charlie. 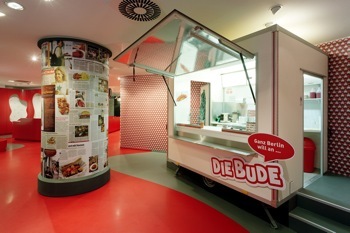 Also explained at the Museum is the controversial story of how currywurst first came into being – a story that has caused much squabbling between cities down the years. Berliners insist a bored sausage seller, Herta Heuwer, created the currywurst on a drizzly September 4, 1949, less than four months after the end of the Western Allies’ Berlin Airlift. Could a trip from Norfolk to Berlin provide the perfect opportunity to try out a BMW R1200 GS?